Team — Flory Small Business Center, Inc.
Linda Decker has served as President and CEO of the Flory Small Business Center, Inc. since its creation in March, 1991. 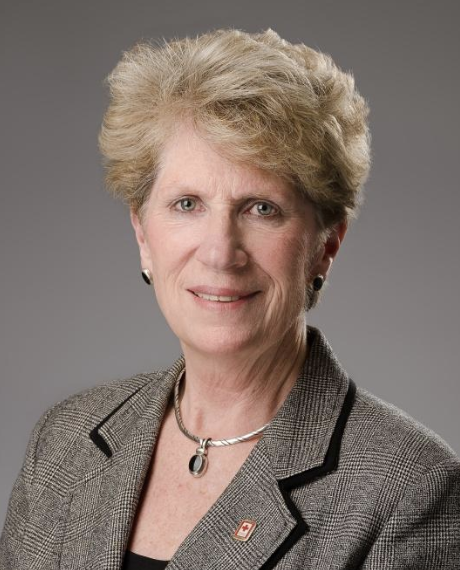 She was an active member of the Industrial Development Authority (IDA) of Prince William County when the IDA founded the Flory Center as a public/private partnership with the mission of business development, retention and expansion. Linda calls on her extensive business background and contacts to assist clients with business plan development, accessing capital, business planning, applying for federal program certifications, marketing, working out partnership agreements and a wide variety of other services. Collaborating with clients and the small business community, she designs a variety of business workshops based on the current needs of the Flory Center’s market and serves as an instructor for the monthly Start-Up Workshop. Working with clients in all stages of business, Linda encourages entrepreneurs to build a strong foundation for their business through prudent business planning and careful financial management. She is an ardent believer in “knowing your numbers” and a strong supporter of financial education being taught every year throughout elementary, middle, and high school. Being able to understand finances and make strong financial decisions is a critical life skill in today’s world. As an advocate for the Center’s small business clients, Linda has served on the Board of Directors of the Virginia Chamber of Commerce since 2011 and previously spent six years on the U.S. SBA’s National Advisory Council. Her efforts have been recognized with two national awards – the National Association of Small Business Development Centers President’s Award for “contribution to the advancement” of the Association and the National March of Dimes fundraising award for her work with that organization. For many years, she served as a judge for the U.S. SBA Small Business Awards at the state, regional, and national levels. Immediately prior to her involvement with the Center, Linda was a public relations and marketing specialist with an emphasis on “turnarounds”, mergers and acquisitions. She utilized this experience as the developer/builder of a 92 unit residential townhouse development. She honed many of her business skills while she was Executive Vice President of a twelve-store furniture retail chain and later founded an in-house ad agency, and operated her own retail furniture store. As a former teacher in the Maryland public schools, Linda has advocated for others from the earliest days of her career. She previously owned and operated a small waterfront tobacco farm in southern Maryland. An eternal optimist, Linda is also quite practical in her approach to life and business. She is the mother of two married daughters. Scarlett Barbee works closely with the Flory Center’s President to provide a wide variety of administrative support to the Center’s operations. She participates in select client meetings, edits business plans, and provides focused research for specific client issues. Scarlett also assists with the dissemination of information and materials to the Flory Center’s Board of Directors and produces a diverse range of reports, correspondence, minutes, and other documents for the Board, clients, conference attendees and other stakeholders. Prior to joining the Flory Center, Scarlett was employed with the Marketing Division of Planning Research Corporation (PRC). Earlier in her career, she was part of a small team working in the Washington D.C. office of a U.S. Congressman. A native of Richmond, she enjoys the wide variety of economic development activities and diversity of Northern Virginia. Donna Flory has been with the Flory Small Business Center, Inc. for over 26 years and serves as their Vice President of Operations. She is primarily responsible for the Flory Center’s Financial Operations and Human Resources, reporting directly to the CEO. Since 2013, Donna has assisted the Prince William County Industrial Development Authority with their financial requirements. In 2015, Fauquier Bankshares, Inc., appointed Donna to their Board of Directors. In this role, she serves on the Auditing, Enterprise Risk Management, Trust and Wealth Management and Nominating, committees. Before joining the Flory Center, Donna was employed in the hospitality industry as Acting General Manager/Rooms Division Manager for the West Park Hotel in Tyson’s Corner. At the Flory Center, she calls on these skills to coordinate large and small conferences for current and potential business owners. These events are a primary source of education for entrepreneurs that are referred to the Center. An exceptionally active member of the community, Donna is known for her service to a large variety of civic organizations. Over the past nine years, she has been a member of the American Red Cross Leadership Council and in 2016, was named the Community Volunteer Leader for Prince William County. An integral part of local Rotary Clubs for eighteen years, Donna has been an active member of the Gainesville/Haymarket Rotary Club since April of 2012. She holds the position of Service Projects Chair and also serves as the District 7610 Area Foundation Advisor, providing a variety of information to make Rotarians aware of the benefits of the Foundation and how to support its mission. She is particularly honored to serve as the Official Ceremonial Trumpeter for Prince William County for over 20 years. She lives in Prince William County with her husband and their beloved dogs and cats. Often the first point of contact for Flory Center patrons, Susan interacts extensively with clients during their initial phone call or visit. Through a friendly conversation, she determines the potential client’s business needs and proceeds with the appointment process or workshop referral. In consultation with the President/CEO, Susan keeps clients advised of ongoing work on their business issues and keeps them informed of upcoming educational workshops of interest. She works closely with those involved in Start-Up Workshops and guides them through the next steps of working with a business consultant. Prior to joining the Flory Center in 2016, Susan was employed in a variety of public service roles including as Interim Executive Director of Communities in Schools (CIS) of Sangamon County, Illinois. CIS is a national organization that works inside public and charter schools to empower at-risk students to stay in school and achieve in life. With an educational background in Social Work, Susan has worked closely with individuals and groups from diverse segments of the community. In her spare time, she is actively involved in local community theater. Mary Loose DeViney serves as a small business consultant for the Flory Center where she provides financial analysis for client projects and serves as a presenter for a variety of business workshops. She is experienced in detailed financial analysis, financial software, and QuickBooks. A native Keswick, Virginia, Mary is President of Tuel Jewelers, her full-service jewelry store located in historic downtown Charlottesville, Virginia. Growing up in an entrepreneurial family, she worked with her mother at the jewelry store learning firsthand all aspects of the business. After college, she returned to the jewelry business and completed formal appraisal training. Today, she operates the store along with her nephew, Hunter AW Loose. They utilize a host of certified watchmakers, jewelers, silversmiths, stone cutters, and hand engravers to serve their customers. Frequently recognized for her involvement in small business issues, Mary was selected as the 2009 Small Businessperson of the Year by the Charlottesville Regional Chamber of Commerce. For many years, she served as a judge for the U.S. SBA Regional Small Business Awards. Mary is a past chairman of the Charlottesville-Albemarle Chamber of Commerce, and a past chairman of the Charlottesville Regional Chamber of Commerce. 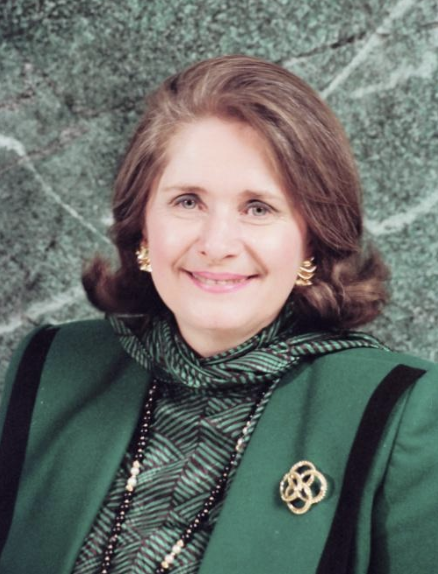 Earlier in her career, Mary advocated for businesses through her tenure as Chairman of the National Federation of Independent Business Virginia Leadership Council. In addition to her business and civic pursuits, Mary is an adjunct Professor at Piedmont Virginia Community College in the Business Department. Paige Hinton is the newest member of the Flory Small Business Center team, serving as the Business Research Coordinator. In this capacity, she works with the CEO to help clients accomplish a variety of projects. She works one-on-one with clients completing 8(a) Business Development program applications and conducts detailed research to assist with the business planning process. Prior to joining the Flory Center, Paige worked in a variety of settings from culinary service to residence life at James Madison University (JMU), to a refugee resettlement office. She earned her Bachelor of Arts degree in Arabic from JMU and is proficient in Arabic with the long term goal of using her language skills to help those in need. In her spare time, Paige likes to cook, attend Washington Nationals games, and spend time with her cats Poe and Noir. Contact the professionals at The Flory Small Business Center today to get started. Utilize our decades of experience in crafting, building and expanding businesses to your advantage!